The first full day in the field - wall to wall birding, working the area hard. The day started slowly, gradually gathering momentum by dusk. Wheatears and sylvia warblers were notable in numbers. 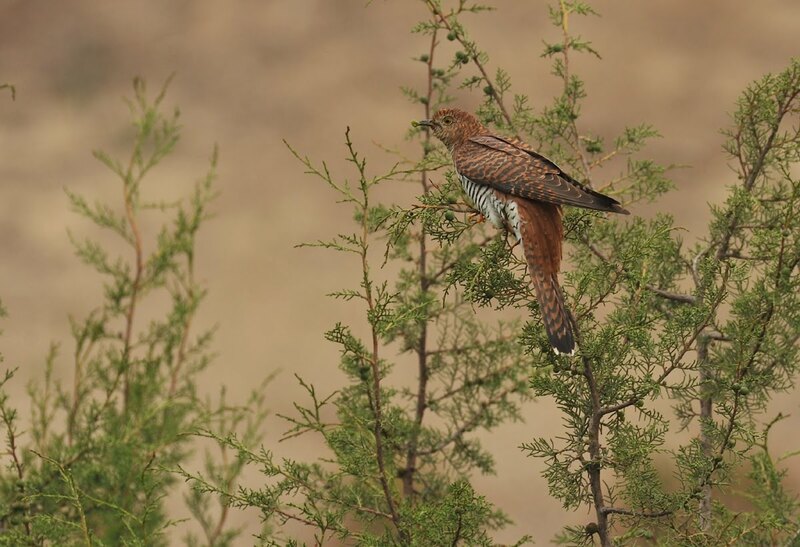 Highlights of the day included 20 Cuckoos including this unusual brown phase "hepatic" Cuckoo, one Calandra lark, 30 Red-rumped Swallow, 20 Tawny Pipit, 3 Masked Shrike, 40 Lesser Whitethroat, 10 Common Whitethroat, two Sardinian, two Ruppells, one Subalpine and two Eastern Bonelli's Warblers. One Collared Flycatcher, ten Whinchat, 40 Northern Wheatear, three Isabelline and 15 Black-eared Wheatears. 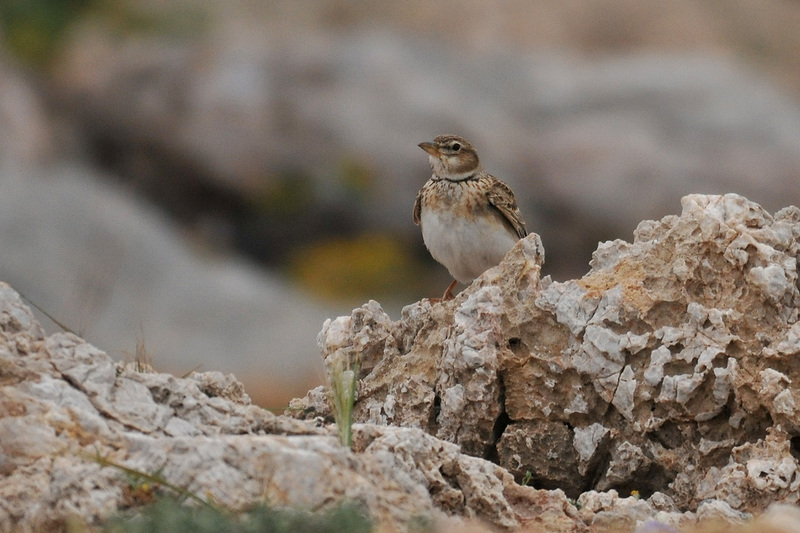 Calandra Lark (above) are common on farmland habitat, especially cornfields. 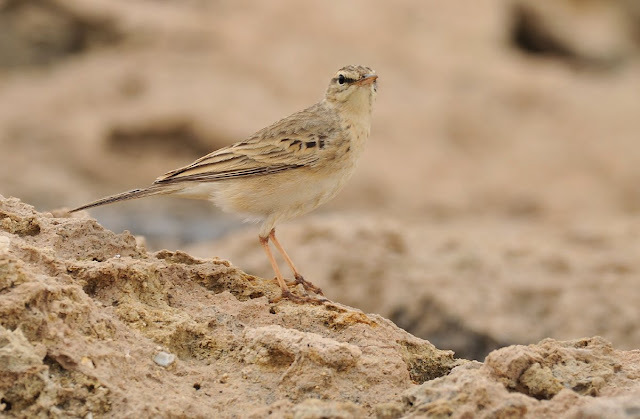 This "out of place" migrant was initially thought to be a Bimac though the flight views clearly showed its' white trailing edge on the secondaries. 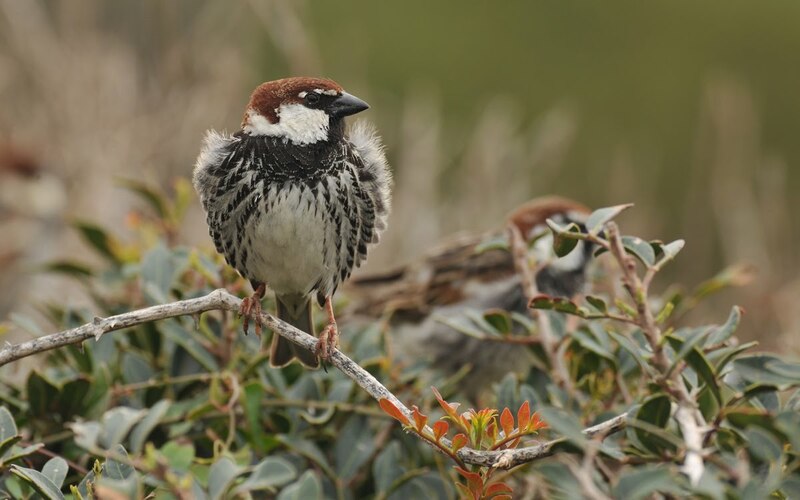 Spanish Sparrows were migrating in large numbers with flocks of 200 plus seen daily. 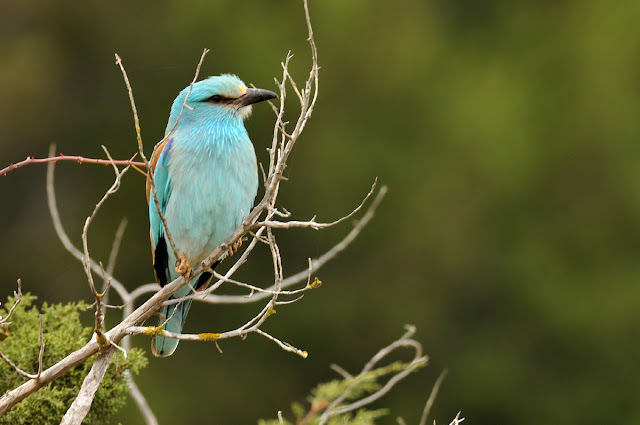 Rollers were especially common and seemed to be more numerous than in previous years. About 100 individuals were logged during the two week stay. Most are migrants though some also stay to breed. 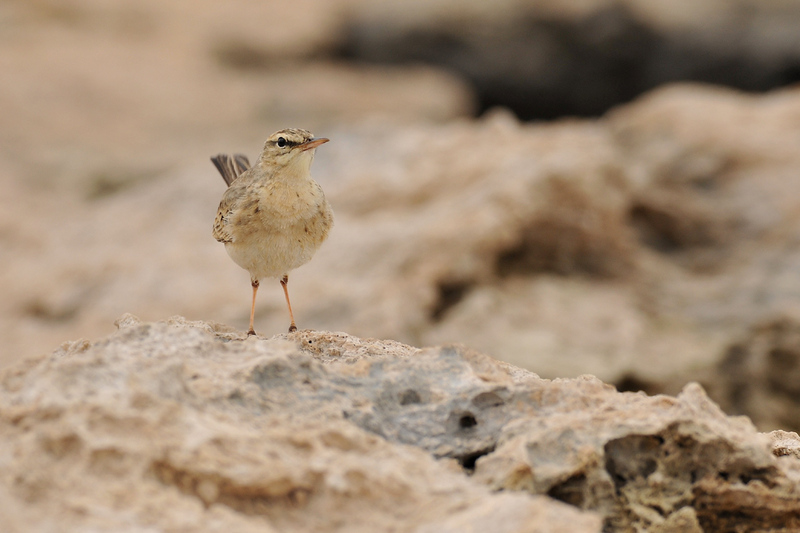 We also witnessed the fascinating "rolling" courtship display which gives the species its' name. 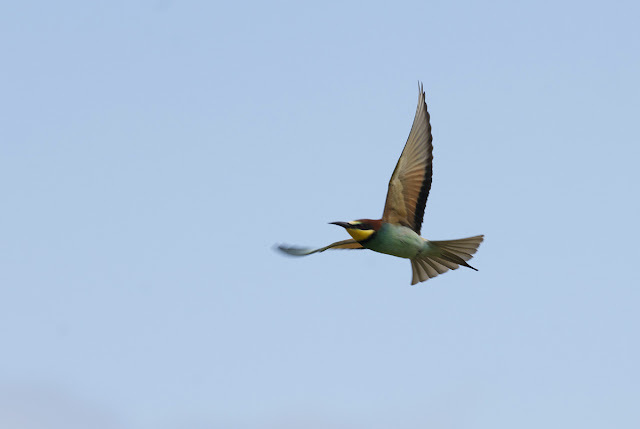 European Bee Eaters were generally scarce except on the last day when we saw about 100. 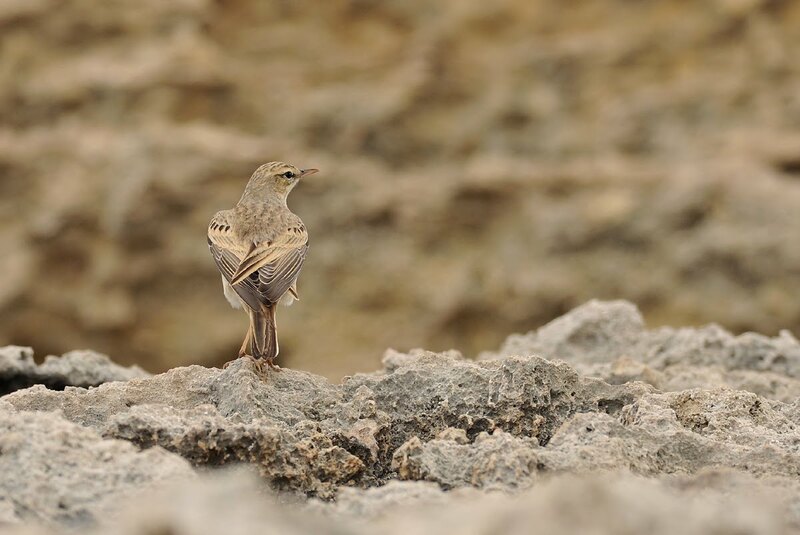 Tawny Pipits were common and seen every day. Flocks of up to ten birds were regular and a typical days' tally would be at least 20. Very impressive! What fun to get to see what you saw! Hi Steve, an excellent set here, some great images. Keep them coming. Top notch Photography Steve,great to have you back.